I am tremendously blessed to have Yiyi Ku as my teacher! She is caring and sensitive, and without a doubt an extremely talented musician. She is kind and patient in her approach, as well as very informative. I’ve learned more about piano in the one year I have been taking lessons with her than I have in four years with another teacher. You are the best piano teacher I’ve ever had! I look forward to even more progress with you, and I’m honored to be able to learn from your experience and talent. I can only hope that some of it will rub off on me. Thank you so, so much! Naomi – Thank you for leaving such nice comments on my website! You have been a wonderful student and you have made so much progress! You are so musical, and it has been a pleasure to teach you. May music continue to enrich your life! I am so lucky to have Yiyi’s piano studio in Murrieta, and to have her as my piano teacher. I love daily practice now as I wish someday I may play as beatifully as she does. Thanks for your continuous encouragement. I cannot find the right words to thank Yiyi enough for all the hard work she put into teaching me from when I was 5 – 11 years old. I really can’t imagine a better teacher – not only is she an incredible musician herself, she really believes in her students regardless of their age, and manages to teach so many aspects of music (such as music theory, history, composition, aural and sight reading skills) while making lessons enjoyable, something to look forward to every week. I don’t know what other teacher in the world would have managed to teach a seven year old to learn ABRSM Grade 5 theory from scratch in half a year, but when my violin teacher demanded that I do so in order to sit higher performance grades on violin, she took on board this seemingly impossible task, and indeed I passed. I am now 17, and a couple of months ago, sent in a copy of that Grade 5 theory I learned with Yiyi aged 7, as a requirement for a university paper. As you can see, Yiyi’s gift for teaching goes far beyond playing the piano. It was she who encouraged me to compose my own music when I was 7, and the first piece I wrote won a national competition, resulting in solo performances with both the Netherlands Blazers Ensemble and the Christchurch Symphony Orchestra of that composition in 2000-seat auditoriums, when I was 9 years old. If it wasn’t for her encouragement at that young age, I might have never realized my love for composition – which I am now studying at University. I have left High School a year early to study at the New Zealand School of Music, and have been awarded 2 scholarships (one based on a performance audition and the other for overall excellence) to help fund my studies. I am currently in my first year of a Bachelor of Music degree majoring in violin performance and composition. Although I am no longer studying piano, last year I managed to be in the winning group of the national secondary school chamber music competition final on piano, performing a work which I learnt on my own – something that Yiyi teaches students to do from a young age. Salina was one of the most talented students I have ever taught in my life. Besides being an excellent violinist and young composer, she is also a sensitive and mature pianist. Right before I moved to the US in 2005, she passed ABRSM grade 8 Piano with Distinction, at the tender age of 10. I am so glad to know that music will always be a big part of her life, and that she continues to blossom as a musician. Out of all the music instructors I’ve had over the years Yiyi Ku was the best. She is very knowledgeable and patient. She gave me the confidence needed to express myself through music. I’m very sad she moved away to California! Yiyi is one of the best teachers we have ever met! What makes Yiyi unique is her philosophy of teaching: First, she understands that not all the students are the same, therefore she adjusts to each one according to the student’s needs, levels and desires. Second, Yiyi loves music. She knows music (she is an excellent pianist). And she is very enthusiastic and cheerful. These qualities make children crave to learn. And last (but not least), she involves parents to the lessons of their children, what makes us aware that learning music in the proper way, though enjoyable, it’s an intricate process, and thus the progress should always be appreciated. 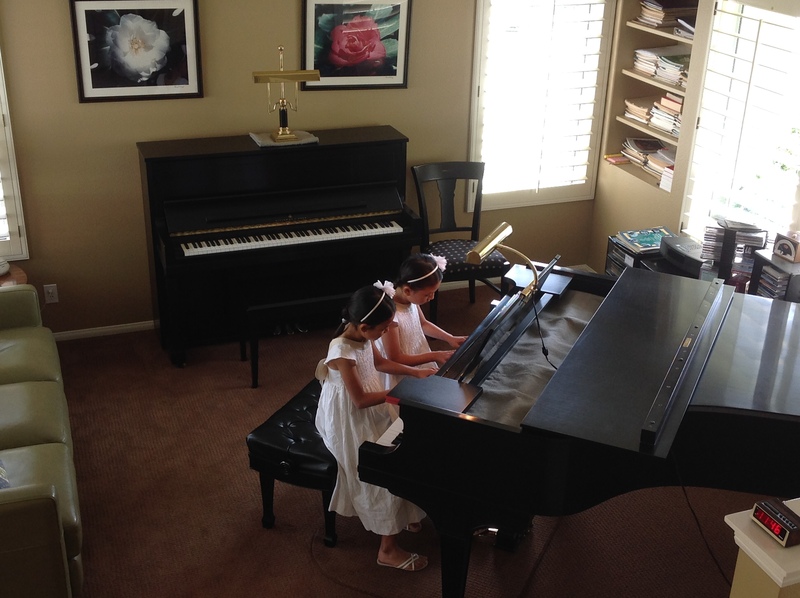 Sofia started piano lessons with Yiyi in June of 2008, when she was 5 years old. The best gift Yiyi has given us was this: one morning of Fall/2008 Sofia woke up at 6:00am, instead of asking for her breakfast as usual, she went directly to the piano and started to play. Thank you Yiyi for teaching our daughter not only how to play piano, but also how to appreciate, enjoy and love music. Sure you are missed here in Long Island! It has taken us a while, but I think we have finally accepted that Yiyi has gone. I can’t say enough about her as a person, teacher and pianist. Her entire heart is into making the children love music. I am so thankful that my children were fortunate enough to have Yiyi expose them initially. She has helped to foster in them a love of music and learning. Through her patience, understanding and sheer nurturing abilities, both my son Caleb and daughter Mila continue to prosper as musicians. I am so thankful for the effect she has had on them. I am not sure if Yiyi fully understands the impact she has had on their lives. They still speak of her and remember the love that she instilled in them. Plus they are excited to visit her sometime in the future!!!! We wish her all the best and secretly hope that she returns to the east coast…we can’t help it! Yiyi is not only an excellent piano teacher, but also a great pianist and a wonderful theory teacher. I’ve studied with her for 4 years in New Zealand before she left for USA, and I’ve been lucky to find a teacher of such an outstanding calibre. She is very dedicated, and she often organises student concerts to give her students performing expirience which is an imporant experience for any music student to have.I also had theory lessons from her, which helped me tremendously when I later did a music degree. Her deep understanding of music and her ability to explain it to her students always amazed me. I greatly recommend her. She has taught me many things, but most important of all, she has taught me how to enjoy myself on the piano!! Thank you for teaching me, Yiyi! I really enjoyed learning from you, and I hope I’ll get a chance to have a lesson from you again in the future. Yiyi is a great person, wonderful pianist and excellent teacher. Unfortunately since I had to move back to Europe, I could only take one year of lessons from her, but I wish that it would have been many more. What I liked very much it that she has a really clear opinion about how a certain piece should sound, and was able to communicate to me how I could achieve that. She’s always extremely sharp, naturals instead of flats will of course be recognized immediately by her, but also more subtle things like touch, pedaling, phrasing, and body motion. And if you don’t get it, she’s always very patient, understanding and creative to find a way to explain you what’s necessary. She is also very intelligent and knowledgeable about music in general, music theory and music history. I always enjoyed it very much when we started a discussion about such topics. For the more practical point of view, Yiyi is always very organized and flexible. Then, I liked it also very much that she often arranged concerts where her students could play. That’s of course very important for a pianist’s development. And these concerts was always lots of fun too. During these concerts I could see that Yiyi is very good with kids, but I want to stress that Yiyi is also an excellent choice for experienced adult students. I really learned incredibly much from her, one of the best teachers (including school+university) I ever encountered in my life. Finally she is a a very talented pianist. For example, because I was back for business in the US, I was lucky to attend her farewell concert. There she played the full Sonatine from Ravel really really beautiful, completely by heart, and flawless. So I can not only but recommend her. If you want to learn piano from the expert, take Yiyi! Yi Yi is an excellent piano teacher. My son has had three teachers and Yi Yi is by far the best. She understands children and the way they learn, and teaches according to their level. Yi Yi has also been my own piano teacher. She helped me tremendously with interpreting music–something I’d had trouble with before I met her. She also encouraged me to start teaching piano, and now I have several students of my own! I highly recommend Yi Yi. Any child she teaches is lucky to have her. We were very fortunate to find a piano teacher as outstanding as Yiyi. She started teaching our twins at 4 1/2 yrs old. They immediately took to her. Over the next 2 1/2 years the children really blossomed. Her encouraging them to participate in NYSSMA, Guild and recitals really added to the overall experience. Her teaching style, talent, compassion and dedication is what makes her such a special teacher. 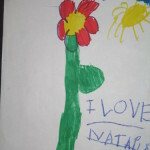 The children frequently ask for her and she is certainly missed. California is certainly lucky to have her and we give her our highest recommendation. Good luck Yiyi. We miss you. When we first set out to find a piano studio for my daughter we only had one major requirement – a teacher who would foster Arianna’s love of music so she would “want” to practice. Yiyi was recommended by close friends and is truly a “diamond in the rough” . She is a firm and warm teacher whose love of music is evident from the first moment you meet her. She has the unique teaching style that moves well between beginners and accomplished adult musicians. 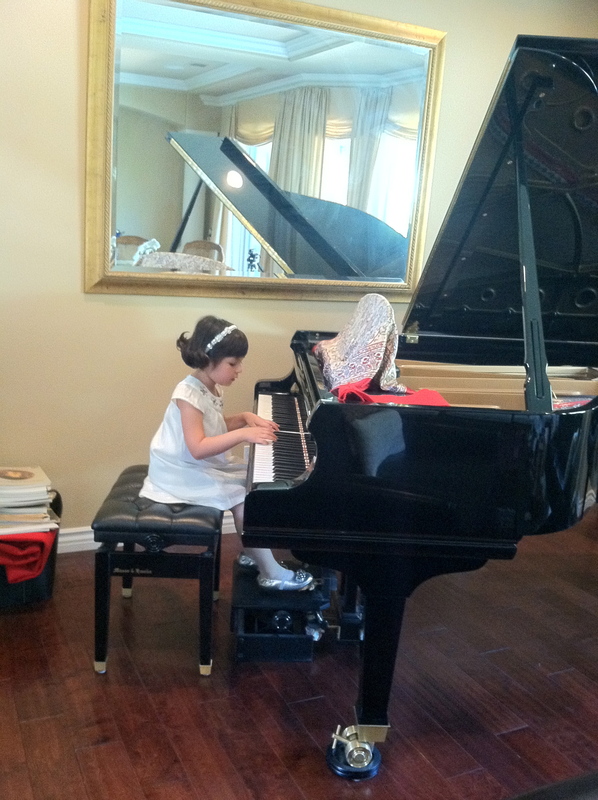 Always positive and motivating, Arianna consistently left piano feeling confident and eager to practice. And when Arianna felt a piece was just too hard at home and just couldn’t practice it, she came away from her lesson transformed, playing the piece with ease. We were so sad to hear that Yiyi was moving to California, the connection we made with her was something that cannot be put into words….she is extraordinary. Parents, Students and teachers alike would benefit from Yiyi’s expertise and we truly wish her the absolute best. 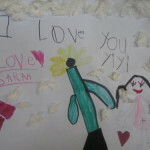 Arianna’s Comment: Yiyi is the best piano teacher ever. I miss her very much. I hope that her new students like her stickers like I did. Yiyi, was a blessing for my daughter Rebecca! The day we found out she was moving to California was a very sad day indeed. Rebecca was eight when she started with Yiyi and had toyed around with the piano, but when we found Yiyi, the fun and games was over! Rebecca couldn’t get enough! Yiyi brought out something beautiful in my daughter and I am very thankful for that! Today Becca is 11 and she completed a level two piano piece for New York states music association and scored an Outstanding in the ratings. This I believe is due to the training given by Yiyi and a lot of hard work on Becca’s part. We take immense pride in appreciating how Yiyi formally initiated and tutored our daughter, Maya. Yiyi made Maya understand the fundamentals of music and how to enjoy the learning process. Maya was always very comfortable to learn due to Yiyi’s caring attitude and sincerity. We are indebted to Yiyi for successfully guiding Maya to perform her maiden piano recital in Carnegie Hall, New York, on February 21, 2009 at the invitation of American Protégé Organization. She was the youngest performer selected at the festival. This achievement at a tender age of six was truly memorable for all of us and the credit owes to Yiyi. Her high attention to detail, musical passion, and constant encouragement inspired Maya to strive for excellence in her musical pursuits. Yiyi was always enthusiastic to give opportunities to her every deserving student for performing on various platforms and occasions. We have a great appreciation of how beautiful and important it was to have timely initiation and pleasant learning experience from a gifted teacher like Yiyi for Maya. We believe that Yiyi would sculpt great many talented pianists on musical horizons in years to come. Words from Maya Hasegawa: Yiyi is an excellent teacher! 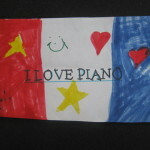 Yiyi is an amazing piano teacher who is extremely talented and knowlegeable at what she does. Trevor and Ashleigh both began taking piano lessons with Yiyi at the age of five and four. They have both learned alot from Yiyi. Not only is Yiyi knowlegeable at what she does but she is very caring, kind, patient and encouraging with her students. We have very fond memories of Yiyi and she will always have a special place in our hearts. Our youngest Tyler was just a baby when Trevor and Ashleigh started their piano lessons. Till this day Tyler would call out Yiyi’s name whenever he sees Trevor, Ashleigh and Yiyi’s pictures together that were taken at past recitals. Even Tyler has fond memories of Yiyi ….lol. Fortunate are those who has Yiyi as their piano teacher. Yiyi …. WE MISS YOU!!! …and wish you all the best with your new piano studio in California. It is never too late to begin piano lessons. Three years ago, Katelyn was age 10 and it was time to offer paino lessons to Katelyn. Yiyi not only had the patience, but the clear communication skills a “tween” (10-13) needs. Yiyi is consistant, doesn’t waste a minute of the lesson–gets right to work, she is gentle, sweet, funny, TALENTED AND PROFESSIONAL! Piano lessons with Yiyi is one of the best things our child will ever experience, as a student! Yiyi is a fantastic teacher and musician. She taught me so much about form and playing, it helped me improve a great deal in my musicianship. We always used every lesson wisely and she always had great methods for practicing as well as teaching. Yiyi always had a smile on her face and always made the lessons interesting. I enjoyed playing with her as my piano instructor and as a fellow musician. I hope to one day get to her level, and play with such grace and passion the way she does! Thank you, Amanda. I remember how hard you worked for NYSSMA, and how proud I was when you got perfect score! That was definitely one of the highlights of my teaching at Riverhead Community School of the Arts back in New York. I am glad music will always be an important part of your life, and you will always enjoy music making. Do I remember right that you are composing your own music now and playing in a band? Make sure you send me a recording! Thank you, Sarah. I still have very fond memories of you winning “The Most Promising Girl” at the Christchurch Competitions when you were only 9 (and the average age of the other competitors was 15!). I was so proud of you. When are you coming to visit me in CA? This is Animesh Ghose’s (your student) father from Long Island NY. When I found the link for your website immediately I though of sending our compliments for all the great sense of music you imparted on Animesh. As a physicist and science teacher I always admire and like your teaching style and way, though it is completely different from ours. Here are the few points that made Animesh( a six year boy) to love, understand and deliver his music through PIANO. 1. Your style of teaching music is accommodative to the student’s level and sense. 2. Your involvement and lovely compositions are encouraging and very entertaining for new learners. 3. Finally, your systematic approach, your professional studio with a wonderful creative surrounding makes the atmosphere a MUSICAL feelings. With all these appreciation I thank you for making Animesh to love PIANO and progressing faster. I would think any one who intends to learn PIANO will miss a chance if he/she does not go through your studio. thank you so much for writing such a detailed and complimentary comment on my website. I am truly appreciative. It made me remember all the wonderful times I had with Animesh; he was a great student, always so responsive and hardworking! I have the picture you gave me displayed in my new studio! I had the great pleasure of working with Yiyi Ku as my student when she lived on Long Island. Her excellent technique, outstanding gift for musical insght, and, above all, the unmistakable expressive warmth of her playing were a consistent delight. Her students are incredibly lucky to have such an accomplished teacher – who is also a truly wonderful person! I really miss having you on Long Island, Yiyi! Thank you, Larry. You are the best! What I learned from you I will never forget! Hi Yiyi, you are the best teacher I know, thanks for being so patient with me, all the best of luck starting up in CA, take care.